I love to garden. I was a Minnesota pork ambassador. I work for a beef company. Our garden--there are lots of fruits & veggies planted behind those flowers! And I cook supper (almost) every single night from scratch for my family. Nope, they are the folks who talk about pureeing vegetables I’ve never heard of, cooking meals that take days to prepare using utensils that they don’t sell at our local ALCO. So when I had a recent assignment that got me investigating what our company’s culinary team does, I was impressed to say the least. They are real foodies and they work with foodies. Then I got to thinking, it’s important for others to know about this whole other world because in today’s environment where celebrity chefs (I don’t get cable and I’ve even heard of many of them) are, well, celebrities, they’re pretty important to our business of livestock production. After all,something they utter can affect hundreds of thousands of consumers of your ultimate product. Kinda scary,huh? Yet, after visiting with folks on “the other side” of our company, it’s reassuring, too, because we’ve got some charismatic characters in our corner. 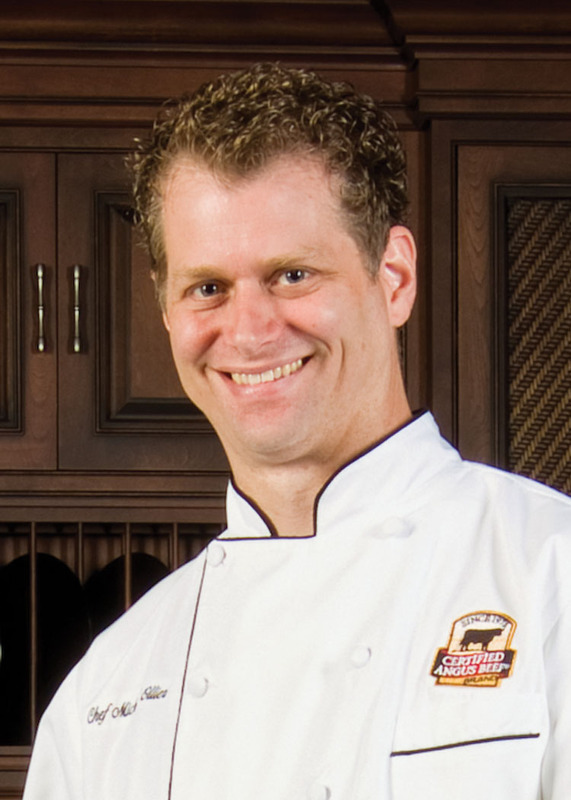 Meet Chef Scott, CAB corporate chef. He helps with recipe development, does media appearances and probably most importantly has one-on-one consultations with top chefs at fine-dining establishments all over the place. And then there’s Chef Michael. He’ll tell Mrs. Consumer how to prepare a new rub and Mr. Consumer all about the latest smoking technique. 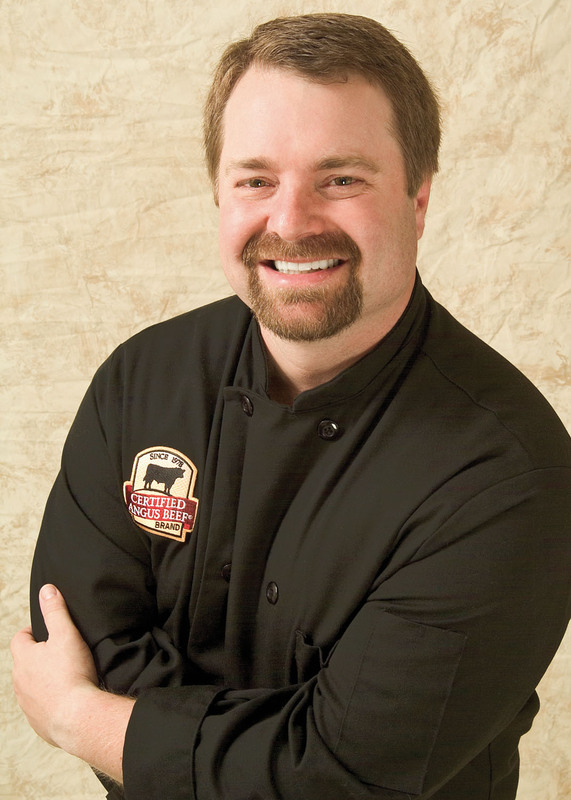 He leads cooking classes, visits home & garden shows and shares tips each month in the Angus Journal. 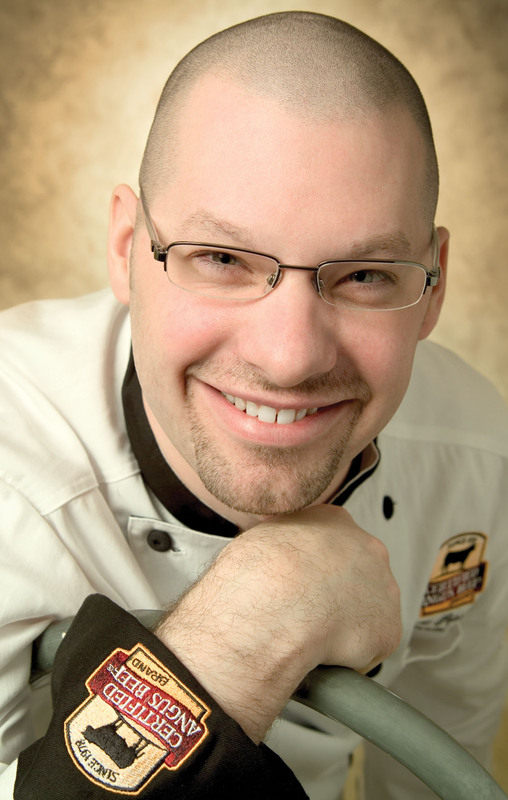 And rounding out the terrific trio is Chef Kyle, who does double duty as an executive account manager, too. So this team pounds the pavement to educate and encourage people to cook and serve beef. If they learn about its versatility, unmatched flavor and unique nutrient profile, they’re sure to fall for it. And you know what that means? Increased demand=increased dollars for your product, no matter what segment of the business you’re in. Great post, Miranda! I””m always fascinated by “the other side” – the chefs, foodies, butchers, retailers, etc. and the great work they do to promote beef. p.s. Your garden is so pretty! Thanks on both counts. 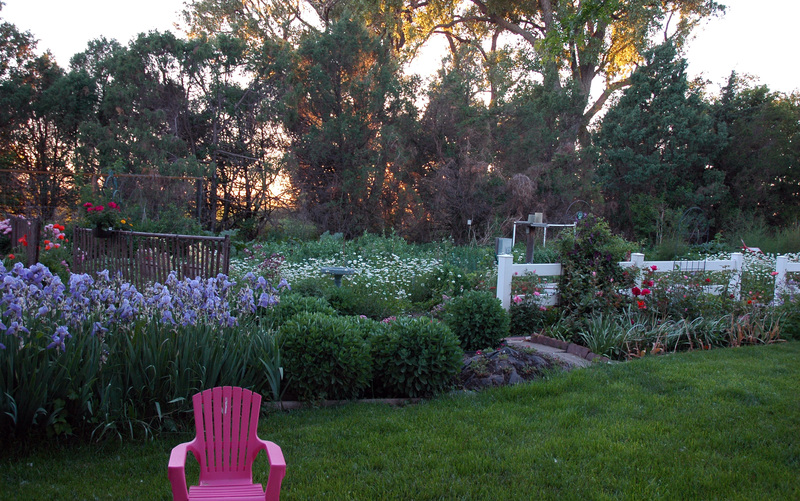 The garden is a lot of work, but so worth it–especially for all the stuff behind the flowers :).